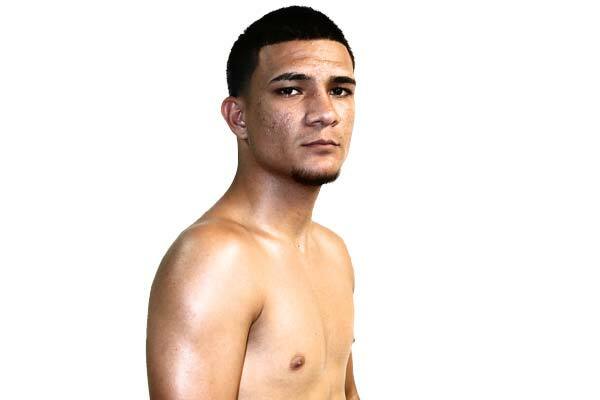 Undefeated super flyweight Jose “Chiquito” Martinez (19-0-1, 12 KOs) of Las Marias, Puerto Rico looks to remain unbeaten as he headlines Boxeo Telemundo Ford this Friday in the main event. His opponent will be former two-time world title challenger David “El Severo” Carmona (20-4-5, 8 KOs) of Mexico City, Mexico for the Vacant NABO Jr. Bantamweight Title, The site of the event will be the Osceola Heritage Park in Kissimmee, Florida. Martinez will be taking a huge step up in class vs the seasoned Carmona. He will have the support of the pro Puerto Rican crowd, but he knows he’ll have to do the fighting himself. After a solid training camp, Martinez plans to show he’s ready for the next level. What do you know about Carmona? He is at that level where I want to be and is very experienced. He is my toughest opponent to date. What is your style of fighting? My style is to adapt to whatever way my opponent comes to fight me. Where to do you see the advantages for you and Carmona in this fight? He may have the edge with the experience but I have the hunger and desire to become a world champion. Is that your goal for 2017? Yes. I have to first defeat Carmona but the goal is to fight for a win a world title before the end of the year. How motivated are you knowing so many viewers will be getting to see you for the first time and the local support from your fellow Puerto Ricans? I am very excited and grateful that God has given me such an opportunity. I am so proud to have my people supporting me. I am going to give my absolute best so that they leave satisfied with my performance. Doors open at 7:00 PM, first fight 8:00 PM, Osceola Heritage Park, 1875 Silver Spur Lane, Kissimmee, Florida. Telemundo will televise the main event at 11:35 PM ET, 10:35 PM CT. The show is presented by Tuto Zabala, Jr., All Star Boxing, Inc, Carmona-Martinez bout in association with Promociones Miguel Cotto. The Rivera-Benavides and Lebron-Alamenares bouts in association with Top Rank. Tickets are already on sale at Ticketmaster.com.